This image released by Disney shows a scene from Marvel Studios' "Black Panther." Disney's megahit "Black Panther" has passed the $1 billion mark at the global box office. The studio said Saturday that the milestone is based on Disney's estimate of ticket sales. The announcement comes on the 26th day of release for the blockbuster. The movie is directed by Ryan Coogler and stars Chadwick Boseman and Michael B. Jordan. 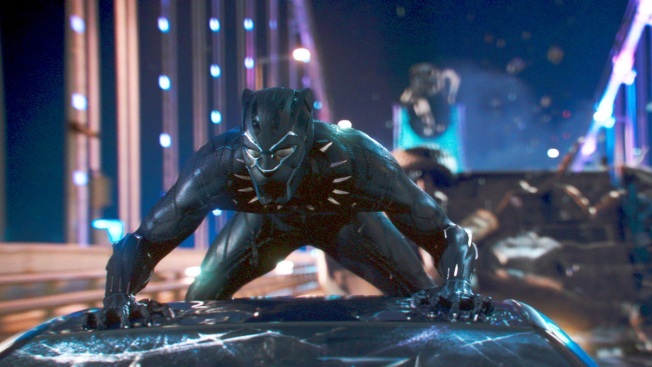 Disney notes that "Black Panther" is the fifth film in its Marvel universe to reach the milestone. The others are "The Avengers," ''Avengers: Age of Ultron," ''Iron Man 3," and "Captain America: Civil War." The film has made $521 million domestically, becoming the No. 2 superhero release of all time, surpassing "The Dark Knight."